In 1499, what is believed to be the first English patent was awarded by King Henry VII to a Flemish man, John of Utynam, for a method of manufacture of stained glass1. The patent awarded its holder a twenty year monopoly on the process within the borders of England. In the years following, the crown granted a great many of these patent monopolies. Historically, letters patent cannot be seen to be completely analogous to modern patent law, which grants a time-limited monopoly to the inventors of novel technologies. Letters patent were issued by the crown to favoured subjects – or those willing to pay for the privilege – awarding those subjects a state-sponsored monopoly on manufacturing processes, the import or trade of specific items, or to confer other special status or rights to individuals or organizations. Unlike the modern patent, letters patent did not require that their subject matter be new or innovative. Patent monopolies were often granted to carve out monopolies over existing technologies, or to restrict the import or sale of common commodities. Patent monopolies were used to further policies or aims of the crown, such as to encourage trade in particular items, to bring new technology to the country, or as a reward for favoured subjects. In 1476, William Caxton brought what is commonly recognized as the first printing press technology to England2. Suddenly it became possible for manuscripts to be quickly and efficiently reproduced. 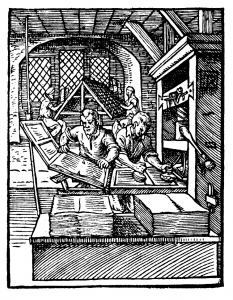 Where before each copy of a given work had to be painstakingly reproduced by hand, now vast numbers of copies of a work could be printed in no time using the technology Caxton brought to the country. Caxton never applied for or received a patent monopoly on the use of the printing press3, and a printing industry sprang up in England. Before the arrival of Caxton’s press, there was nothing comparable to modern copyright in English law. 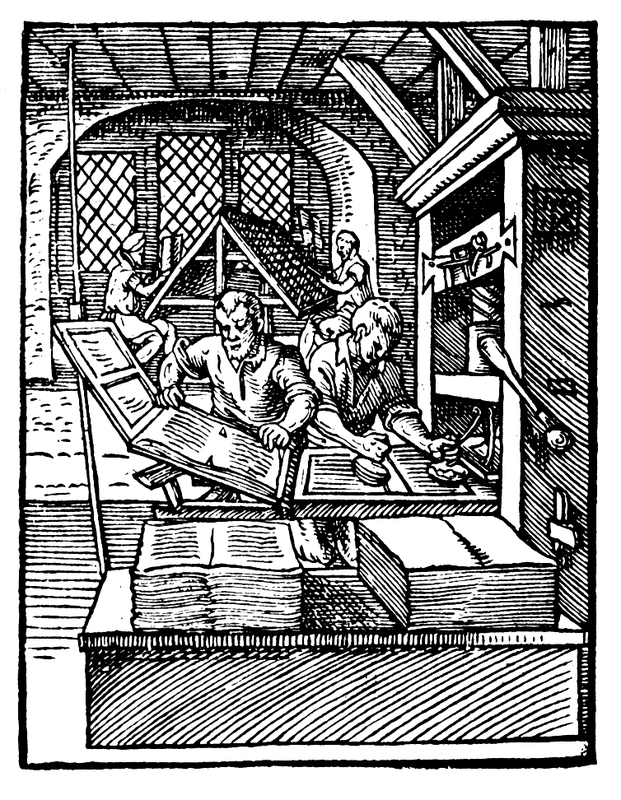 Before the printing press, there was no need for anything analogous to copyright – the time involved in reproducing a literary work made reproduction on a large scale impossible, and it has been suggested that authors of the time would have looked upon any copies made of their work by others as flattery rather than infringement, given the effort required for their production. As the English printing industry grew, so too did the market for books. Printing had brought literature within the grasp of the masses. Prior to the advent of the press, it might take a monk or a scribe a year to create a reproduction of the Bible. Now, hundreds of copies could be printed in the same period of time4. Manuscripts produced by hand were prohibitively expensive, inaccessible to all but the most wealthy. Printed material was much less expensive, and demand increased as books became more affordable5. One might be forgiven for jumping to the conclusion that the emergence of copyright law occurred as a recognition of an inherent, natural property right vesting in the author of a literary work to exploit that work commercially on the new English book market. The reality is hardly so romantic. In fact, the first controls over literary works were essentially crown censorship, intended to restrict publication of controversial or heretical religious writings. Henry VIII prohibited the importation of books for retail sale on the English domestic market, and, in 1529, published a list of prohibited books. He began issuing patent monopolies over particular works. These letters patent granted a particular printer the exclusive right to print a given work in England. It is important to note that although these patent printing monopolies were in some ways analogous to modern copyright, they were simply licenses to engage in manufacture and trade of particular volumes6. They arose only by crown grant as opposed to as a natural consequence of authorship, and cannot be seen to be recognition of an author’s natural right to exploit her work. These patent monopolies had nothing to do with authors at all – they related only to the activities of the printers. The Worshipful Company of Stationers was a craft guild which came into being in 1403, originally composed of booksellers and portrait artists. As the English publishing industry grew, printers were incorporated into, and eventually dominated the Company of Stationers. 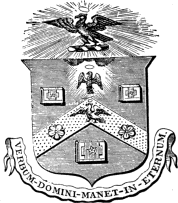 The guild received its charter in 1557, during the reign of Mary I7. The charter denounced the publication of seditious and heretical books, and declared that henceforth, only members of the Company were permitted to print books in England8. The charter of the Company of Stationers incorporated the first generalized regulatory scheme for printing and publishing. A register of books was created. Only titles which appeared in the register were permitted to be printed, and only members of the guild could enter titles on the register. Printers would declare a right over a particular title by entering it on the register, and would receive the exclusive right to print and sell that title9. The right obtained on registration of a title came to be known as ‘copy’ – the etymological origin of the term ‘copyright.’ Again, however, this right was exclusive to the printers, and did not create any right whatsoever in favour of authors. ‘Copy’ created a convenient means by which the crown could restrict the publication of controversial material within the country. The import of books was banned by Henry VIII, and the only books which could be domestically printed had to be entered on the register of the Company of Stationers, which was overseen by the crown. The printers enjoyed a monopoly right as an indirect result of the pragmatic aim of the crown to censor controversial printed material. The registration system was by no means a recognition of a natural right arising from the creation of a literary work. The Company of Stationers evolved into something akin to a regulatory agency as the registry and the grant of ‘copy’ became more and more central to its function. The Company itself was empowered to enforce the right of copy, and to seize the equipment of anyone not a member of the Company who was found to be operating a printing press. But the Company of Stationers did not operate entirely independently10. Through the infamous court of the Star Chamber, which had begun its days in 1487 as a group of privy councilors and close advisors of King Henry VII, the crown gradually exerted more and more control over the Company. Under Elizabeth I, the court decreed that books could not be entered on the Register – and therefore could not be printed in England – without the permission of six members of the Privy Council11. In 1632, the Court outlawed the domestic printing of foreign newspapers, which for a six year period had to be smuggled into the country12. The Star Chamber exerted increasing influence over the Company of Stationers’ printing activities, as it came to recognize that certain books could be quite dangerous to the Catholic Church, and to the crown itself. In 1641, Parliament’s power finally grew to the point where it could stand up to the King. The House abolished the arbitrary and secretive court of the Star Chamber under Charles I, along with all of the enforcement powers granted to the Worshipful Company of Stationers under the guild’s charter. For a brief ensuing period, the registry and the right of ‘copy’ was unenforceable, resulting in a period of rampant piracy of titles in which members of the Company had previously claimed the right of ‘copy.’ Parliament reinstated a similar registry system in 1643, again under the control of the Company of Stationers. A series of Parliamentary Licensing Acts to a certain extent recognized the author by requiring a license from the original owner of copy as a prerequisite for entry of a book on the register of the Company of Stationers. At common law, the author was granted the exclusive right of first printing, and the right to sell the right of ‘copy’ to a publisher. Again, only registered titles could be printed, and only registered printers were permitted to operate. Restrictions on the material which could be printed continued to be the motivating factor behind the Licensing Acts through the mid seventeenth century, only this time Parliament was doing the censorship through the Council of State which had been vested with control of licensing decisions13. As the climate in Britain became more stable towards the end of the 17th century, the need for the Licensing Acts waned, and in 1694 Parliament, purportedly swayed in part by arguments advanced by John Locke in favour of freedom of the press14, allowed the Licensing Act of Charles II15 to expire. Another period of piracy and anarchy of the press ensued, and an influx of books published in Scotland led to an uproar amongst the English Printers until the Statute of Anne16 was finally passed in 1709.